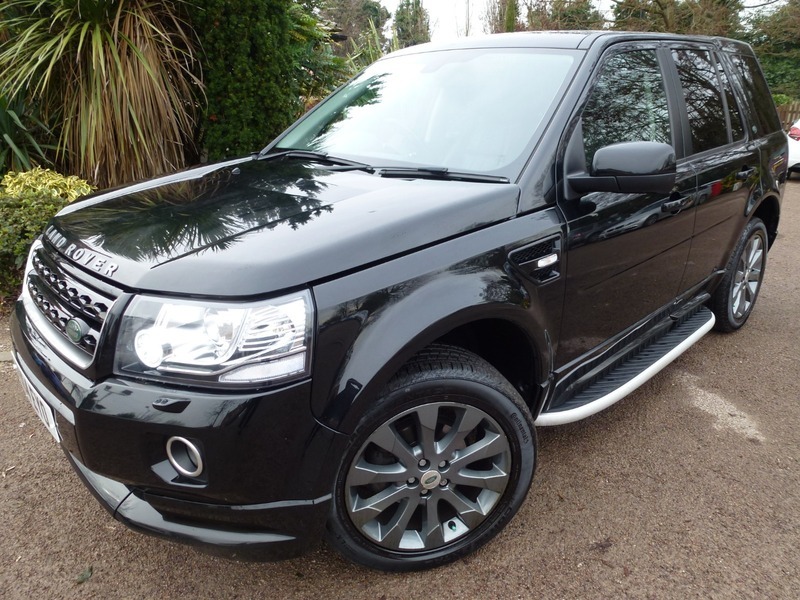 *1 OWNER, FULL LAND ROVER SERVICE HISTORY, SAT NAV, REVERSING CAMERA, TWIN SUN ROOFS, REAR PARKING SENSORS * FULL BLACK LEATHER TRIM, In superb condition throughout and with a high specification Bluetooth, Climate Control - Auto with Air Filtrat & Air Qual, Rear View Camera incl. Hitching Guidance, Meridian Audio System (825W), Heated Front Seats, Climate Control - Automatic with Air Filtration, Say What You See - Voice Activation, Digital Radio (DAB), 7in High Resolution Touch-Screen, Cruise Control, Alarm System - Perimetric, Rain Sensing Wipers, Electric Windows - Front & Rear with Drivers and Front Passengers One-Touch Open/Close, Meridian Audio System - (380W), Radio and Single Slot CD Player, MP3 Disc , File Compatibility, 3.5 Auxiliary Input, Single USB MP3/iPod Connectivity, Driver Information Centre, Hill Descent Control (HDC), Bluetooth Telephone Connectivity, 17 in Five Split-Spoke Alloy Wheel Style 3 with Locking Wheel Nuts. **12 MONTHS NATIONAL WARRANTY Inc, PARTS, LABOUR & ALL ELECTRICS WILL BE PROVIDED WITH THIS CAR + 12 MONTHS AA BREAKDOWN COVER** COMPLETE WITH BOTH MASTER KEYS ALL SECURITY CODES & HANDBOOKS + NEW SERVICE & MOT BEFORE DELIVERY (where applicable), PLEASE TELEPHONE & AVOID EMAILING WHEN INQUIRING ABOUT OUR VEHICLES AS STOCK IS IN & OUT ON A DAILY BASIS. Finance Rates From 2.99%, P/X Possible.